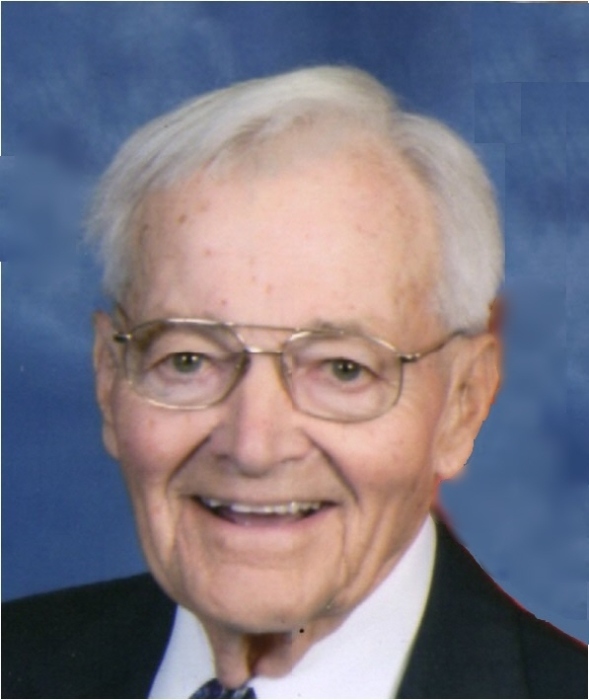 Roger C. H. Mohrman, 89, of Quincy, formerly of Camp Point, received his heavenly wings at 4:00 a.m. Saturday, April 6, 2019, surrounded by his family. Born November 4, 1929, in Quincy, Roger was the son of Clarence and Esther Heitkamp Mohrman. He married Margie Louise Groves on December 20, 1952, in De Kalb, IL, and she survives. Roger was a 1947 graduate of Quincy Senior High School and a 1951 graduate of the University of Illinois at Urbana-Champaign receiving a B.S. in Agriculture. He enlisted in the U.S. Air Force in 1951 and was discharged as a Captain in 1953. Mr. Mohrman was the General Manager of Adams Electric Co-Operative in Camp Point retiring in 1994 after 42 years. He was active in many business organizations including ABS Water Co-Operative, Illinois Electric Co-Operative Managers Association, NRECA Legislative Committee, Soyland Power Co-Operative, United Utility Supply Co-Operative, and the Western Illinois Power Co-Operative. Roger also served his community in various civic organizations including ACRE, Adams County United Way board, American Cancer Society board, American Heart Association rural chairman, American Legion Post 238, Camp Point Lions Club, Community Unit District #3 school board member, and University of Illinois Alumni Association lifetime member. In addition, Roger served on the Sunset Home board, Two-Rivers Rural Development Corporation board, and was an Adams County Golden Deeds Award recipient. More recently, Roger was active in the Golden K Kiwanis and a volunteer with Blessing Hospital. He was a devoted husband, father, grandfather and great grandfather who cherished time spent with his family. Roger was the proud father of four children; a son, Dennis Mohrman (Cindy), Normal, IL; and three daughters, Deborah Henry (Mike), Chatham, IL, Di Anne Hughes (Randy), Quincy, and Denise Busse (Chris), Shiloh, IL. He was the loving grandfather of eight grandchildren, Claresta Bergman (Doug), Chicago, Matthew Mohrman (Lauren), Asheville, NC, Justin Henry (Mackenzie), Chicago, Jason Henry (Hannah), Springfield, IL, Jeff Hughes (Diane), Camp Point, Rachel Cramsey, Quincy, Allison and Alec Busse, Shiloh, and ten great-grandchildren; Griffin and Gabrielle Bergman, Mae Henry and Baby Henry due in late summer, Conner, CayLee, and Case Hughes, and Maddison, Mason, and Maddux Cramsey. He is also survived by his sister-in-law, Jane Bastian, De Kalb; and many loving nieces and nephews. He was preceded in death by a grandson-in-law, Joseph F. Cramsey; a sister, Virginia Brecht and her husband Virgil; two sisters-in-law, Barbara Wallin and her husband Carl and Donna Diedrich and her husband John; and a brother-in-law, Wilbur Bastian. Funeral Services will be conducted at 11:00 a.m. Tuesday, April 9 at the Camp Point United Methodist Church by Rev. Sheila Kelly followed by a meal in the fellowship hall. Burial with military honors at 2:00 p.m. at Greenmount Cemetery, Quincy. Visitation will be held Monday from 4:00 p.m. until 8:00 p.m. at the Camp Point United Methodist Church. Memorial contributions may be made to the Community Foundation, Camp Point United Methodist Church, or the charity of the donor's choice.